Let’s not kid ourselves–it’s nice to see those Instagram alerts saying your business has a new follower. 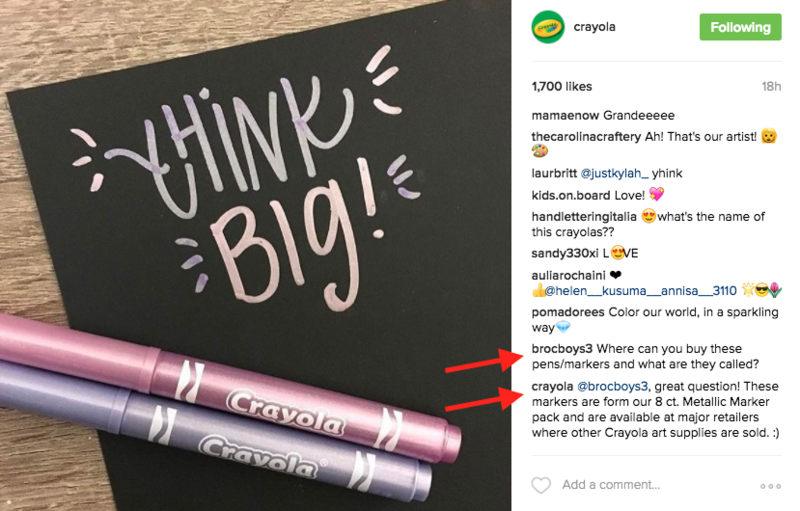 While the feeling might not get old, the thought of knowing how to easily manage your Instagram followers might be daunting. Don’t let that love for a new follower grow stale. As a business, you want to continually see new customers interacting and engaging with your Instagram account. Whether it’s an awesome visual theme, great videos or like-worthy images, something drove the user to your account. Now your job is to effectively manage and engage with your new audience to keep them coming back for more content. Before we get into how to do this, the first essential step is to use an Instagram management tool to monitor, track and engage with your followers. At Sprout Social, we provide the most powerful business tools in the industry whether you’re managing a few Instagram accounts or 100. Give us a try or compare us to your current tools by requesting a demo today. You don’t need to post every picture or video you take on Instagram. In order to build a reputation as a brand people want to follow, try to only post your best content. So if you’re debating where to post that amazing video you just recorded, think of Instagram first. According to a Simply Measured study, engagement rates on Instagram are 20 times higher than Twitter content and 15 times higher than Facebook. This means you have a better chance to engage and befriend your audience on Instagram than other networks. If you only post content that is of the highest quality, you have a better chance to convert followers into brand loyalists. And high quality could simply mean your content is well-edited, interesting, timely and on brand. For example, Urban Outfitters has amazing visuals on its Instagram account that showcase the brand’s products and artistic lifestyle. Several of the most popular posts stem from user-generated content. Every single post matches their brand, even when there’s no products mentioned. 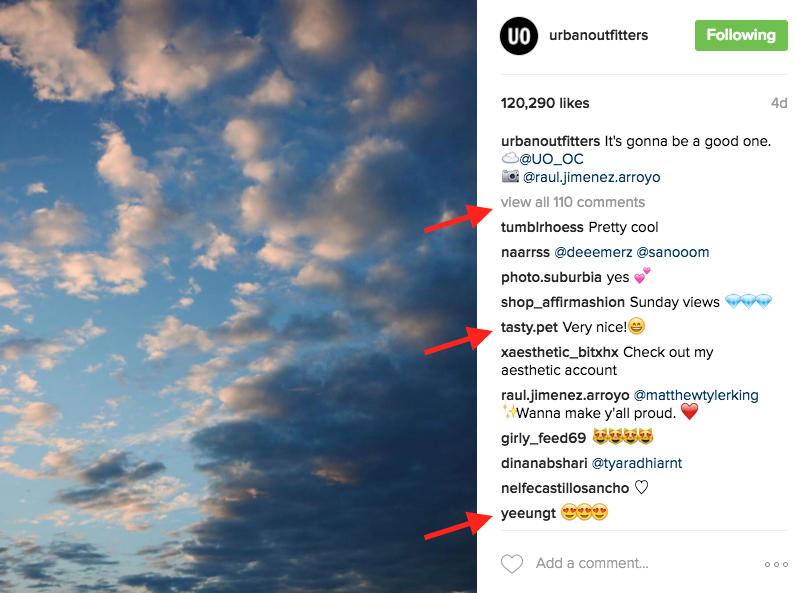 Urban consistently posts its best content, which entices followers to share and engage. There’s a visual theme and the quality never strays. Adequately managing your Instagram followers allows you to build a tribe of loyal users. These followers help you more often than you think. In fact, a Nielsen report discovered the No. 1 source of trustworthy advertising was friends and family recommendations. An effective Instagram community not only engages with its followers, but encourages users to share or tag others in their content. If you look at Bleacher Report’s Instagram following, hundreds of comments exist on nearly every piece of content. While Bleacher Report is blessed with being in the sports industry, your brand can learn from them. Try to build a community by engaging your users whenever possible. Something as simple as asking people to tag a friend or leave a comment could be just the push you need to start building a community. If your followers are heavily involved in the industry, spark conversation by asking questions in the caption. Having users make a decision, like Bed Bath and Beyond does below, encourages sharing, tagging and engaging. Building a community is important, but it’s also necessary to know who you’re bringing together. Do research into your Instagram users to see things like gender, age, income, education, interests, location and relationship status. These demographics provide massive insights into who follows you and who you should target for the future. 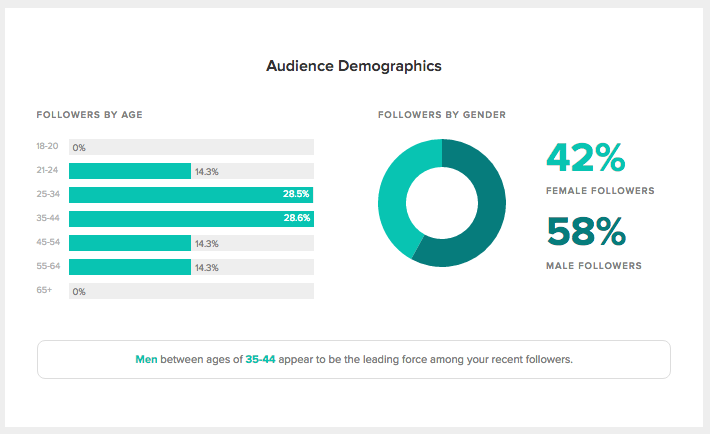 With demographic analysis from Sprout, it’s simple to monitor your Instagram’s top engaged influencers. This gives clarity to some of your most significant followers. 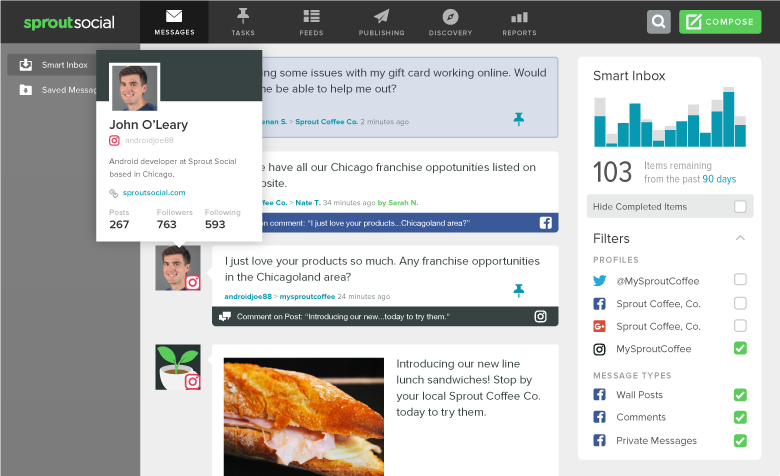 Additionally, if you have your Facebook and Twitter connected to Sprout, you can access the Twitter Profiles and Facebook Pages reports to gain further access into your core demographic. With a little research, it’s possible to pinpoint and manage your audience. It’s critical to know who you’re targeting on social so you can post the most engaging and relevant content possible. Once you know your target demographic, it’s time to see what content resonates with them. Do your followers like videos? How well do they engage with product shots or stock photography? No two audiences are identical. The best way to find out what your audience likes is to do some content analysis. It’ll give you some great insights into your most engaging posts, as well as help you build a better Instagram content strategy for the future. Trying to please all your Instagram followers is nearly impossible. The goal is to share content that resonates with as many as possible. Some of these benchmarks might not match every brand, but doing investigative work into your most successful content will surely help. 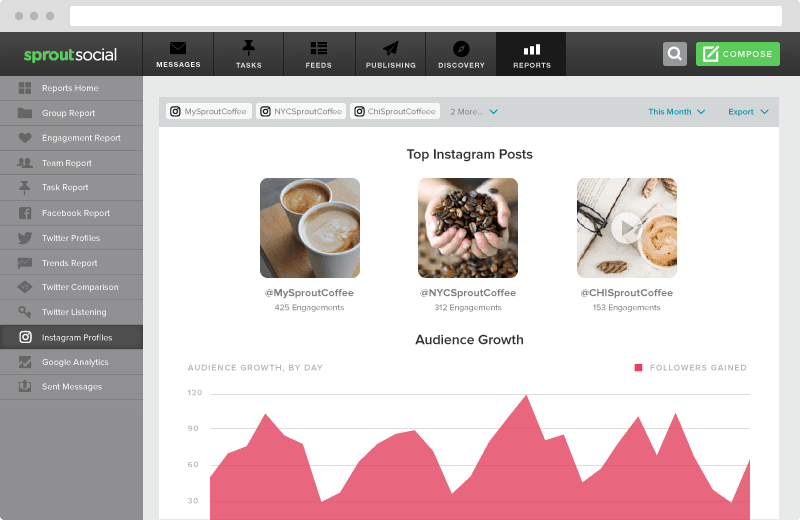 Here at Sprout, our Instagram Profiles report details your most successful posts, which you can filter by date. After you’ve unraveled some details about the content your audience enjoys, you should have a better understanding of what to post. However, some of the new features on Instagram could help you engage with your followers even more. For example, Instagram Live was recently released to more countries outside the US to gain exposure. This live broadcasting feature allows you to connect with followers on an intimate and behind-the-scenes level. Some brands might be nervous to do live broadcasting, but that’s alright. Instagram Stories provides another avenue for brands to post content. Much like Snapchat, the stories feature allows users to add content for short viewing times that gets erased after a 24-hour period. The in-the-moment posting is more raw and less edited than other content, so make sure you have a purpose behind this content. The last thing you want to do is add a bunch of stories that ultimately have no ties to your content strategy. 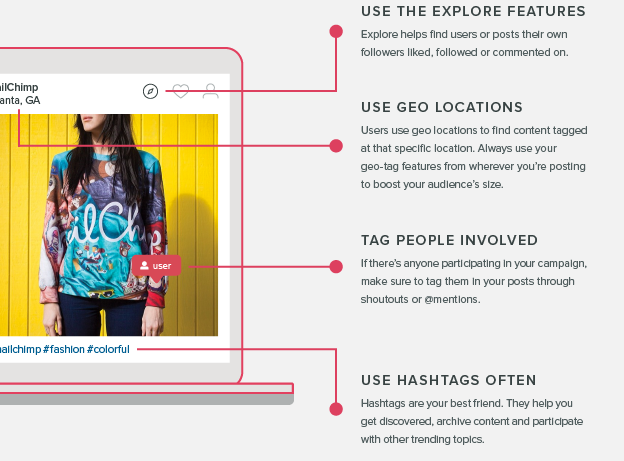 Your Instagram content needs to be easily searchable, shareable and in the correct spaces. Now with more than 600 million active users, you want to make sure you’re getting as much exposure as possible. 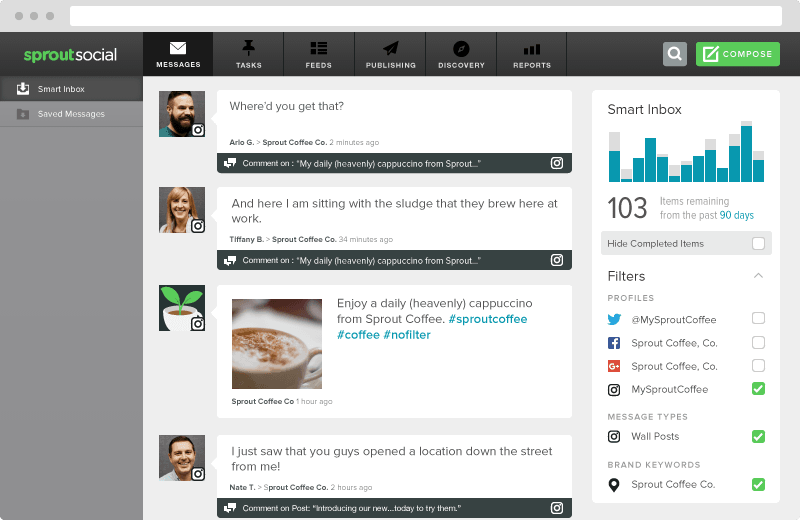 This will help bring in users and provide current followers with your whereabouts. Maybe a user found your profile through the explore feature and liked your content without following you. Getting in front of them again could be the turning point to turn a follower into a customer. It’s best practice to optimize your Instagram profile to gain exposure and be searchable for anyone looking for your brand. The same Simply Measured report discovered 86% of the top brands around the world have Instagram accounts. Ensure your username is simple, short and easy to find on Instagram’s search features. The competition is only growing. A great way to centralize or even expand your brand is through hashtags. On one hand, hashtags create exposure when you use generic terms like #winter, #staywarm or #cozy. However, branded hashtags create a space for you and your brand loyalists to post content. Columbia Sportswear uses the hashtag #TestedTough on a majority of images and videos to get followers involved. This is one of the best ways to manage Instagram followers without seeming pushy. 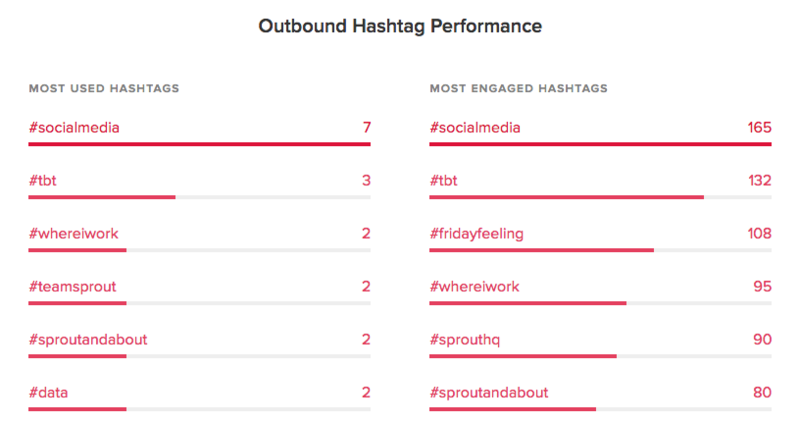 And through Sprout, it’s simple to monitor the hashtags associated with your brand and which ones you frequently use. One of the most important parts of managing your Instagram followers is being active in your comments. When a follower takes the time to leave a comment, the worst thing you can do is let it go ignored. Dig in and start replying. As your Instagram following grows and you receive more comments, it’s difficult to manage it all within the Instagram app. It’s even more difficult for agencies or brands that handle multiple profiles. That’s when a tool like Sprout comes in handy. You can use the Smart Inbox to see all your Instagram comments, reply and see your message history. Another overlooked benefit of actively monitoring your comments is it gives you a chance to learn more about your most active followers. If you notice a certain follower tends to reply to all of your posts, you may want to get in touch with them to offer a special promotion or send them some company swag. If you can make your audience feel heard and appreciated, managing your Instagram followers becomes much easier. If you have hundreds or thousands of followers, it’s difficult to recall who everyone is. Having some additional context about your users and your brand’s relationship with them can be extremely helpful for customer service or even lead generation. 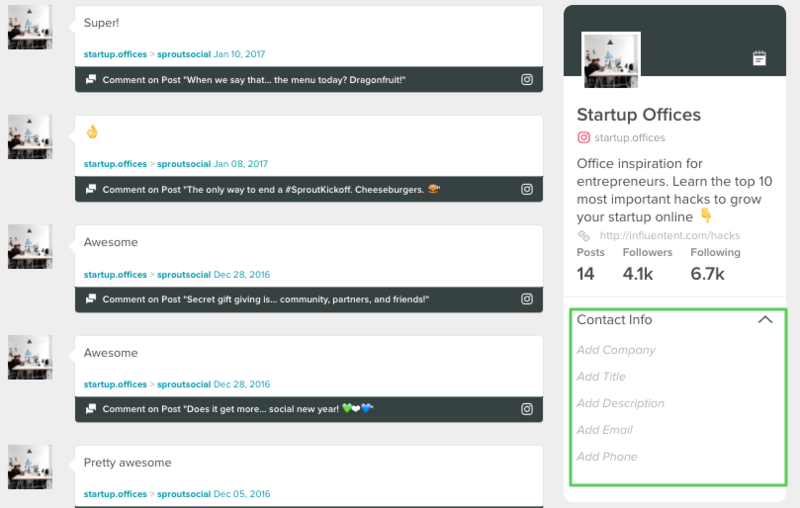 Sprout gives you the ability to add contact details and notes about your Instagram followers, plus see their engagement history with your brand. Having contact information makes it easier to address customer service issues, and follow up with potential leads. This is particularly helpful for any users you frequently interact with, or potential sales leads. It all goes back to building strong relationships with your followers. It all starts with that single person who follows your brand. Building, managing and maintaining a good follower base has obvious benefits. When you increase the trust of followers into your brand, you’re more likely to see these users turn into customers. Always remember to engage and build a real following through great content and customer interactions. Share your Instagram management stories in the comments section below!